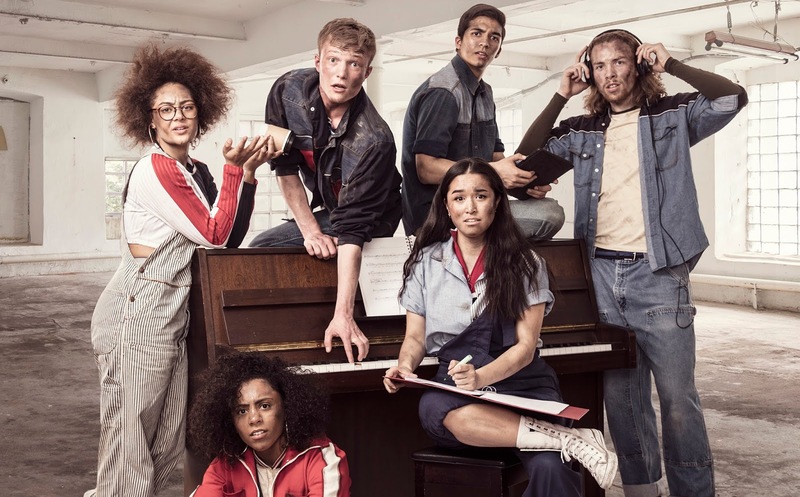 Completing the cast of the European Premiere of WORKING at Southwark Playhouse are six young performers all making their professional debuts. Patrick Coulter (Bird College of Dance), Nicola Espallardo (Guildford School of Acting), Izuka Hoyle, Luke Latchman, Huon Mackley (all Arts Educational Schools, London) and Kerri Norville (Bird College of Dance) will join the previously announced Gillian Bevan, Dean Chisnall, Krysten Cummings, Siubhan Harrison, Peter Polycarpou and Liam Tamne. WORKING opens on 7 June 2017, with previews from 2 June, for a strictly limited season ending 8 July 2017, and is directed by Luke Sheppard. The musical’s creative team has auditioned over 130 drama school students and aspiring young performers, discovering some of the most exciting upcoming musical theatre talent. With the support of Arts Council England and Unity Theatre Trust, the production will also host workshops for young people in Southwark and Lambeth interested in entering the theatre profession. WORKING is the extraordinary genre-defining musical from Grammy and Academy Award-winner Stephen Schwartz(Wicked, Godspell) based on Studs Terkel’s best-selling book of interviews with the American workforce: Working: People Talk About What They Do All Day and How They Feel About What They Do. The show has been adapted by Stephen Schwartz and Nina Faso, the creators of Godspell and Rags, with additional contributions by Gordon Greenberg. This highly original and universal portrait of the American workday is told from the perspective of those that the world so often overlooks – the schoolteacher, the housewife, the fireman and the waitress, amongst many – whose daily grind and aspirations reflect the truths of the people that make up a nation. WORKING employs a range of musical styles and genres from contributing composers, including five-time Grammy Award-winner James Taylor and Pulitzer Prize-winner Lin-Manuel Miranda (Hamilton, In The Heights), as well as Craig Carnelia, Micki Grant, Mary Rodgers & Susan Birkenhead. WORKING first opened on Broadway in 1978, under the direction of Stephen Schwartz, with a cast including Patti LuPone, Bob Gunton, Joe Mantegna, David Patrick Kelly and Rex Everhart. The show has since undergone several revisions, with additional songs by Lin-Manuel Miranda being introduced in 2009. WORKING was last performed off-Broadway in December 2012, under the direction of Gordon Greenberg (Holiday Inn, Guys and Dolls, Jacques Brel Is Alive and Well and Living in Paris). WORKING will have Choreography by Fabian Aloise, Set Design by Jean Chan, Costume Design by Gabriella Slade, Lighting Design by Nic Farman and Sound Design by Tom Marshall, with Musical Supervision by Alex Parker, Musical Direction by Isaac McCullough and Casting by Will Burton CDG. The new production at Southwark Playhouse is performed by arrangement with Music Theatre International (Europe) Limited. WORKING is produced by Jack Maple, Ramin Sabi, Christopher Ketner, & D.E.M. Productions.